The elegant Centrale Hotel enjoys a fabulous location in the historic old town of Mestre, occupying an impressive building housed between the main train station and Piazza Ferretto in Venice's commercial heartland. Offering great value for money, comfortable accommodation and a really warm Venetian welcome delivered by professional and dedicated staff, the 3 Star Centrale Hotel is ideally suited to both leisure and business visitors. Guests will find a fine array of fine restaurants, lively bars, shops and nightly entertainment within walking distance of the Centrale Hotel's front door. Access to Venice's city centre (8 km), tourist attractions, museums, art galleries and theatres is easy using the scheduled bus service from outside the hotel which operates every 7 minutes. 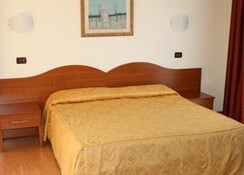 Getting to the hotel: The Centrale Hotel is only 800 m from the main railway station, and 1 km from the A4 motorway. Scheduled bus service from outside hotel to city centre takes 10 minutes. Local tips: Venice is teeming with museums and architectural gems offering fine examples of Venetian splendour including Chiesa del Redentore, Monastero Mechitarista and Plazzo Grassi – all of which are well worth exploring and touring – making a fabulous way to spend a warm day in the sun. Enjoy old world charm effortlessly blended with contemporary amenities! 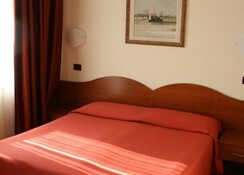 Dining: The Centrale Hotel is booked as Bed and Breakfast accommodation. 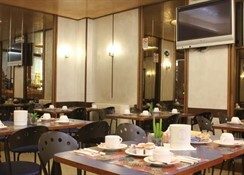 The hotel serves a fine and hearty breakfast buffet daily featuring well sourced well prepared baked goods, fruits and produce. Fine wines, beers, spirits and beverages are served from the hotel bar throughout the day and evening. Additional: 24hr reception, currency exchange, safety deposit box (reception), housekeeping, maid service, parking nearby (local charges), complimentary city map, fax/copying services, disabled access, multilingual staff, laundry services, Internet access, wakeup call service, luggage storage, tourist information services, medical assistance (on request). Some services are with charge. 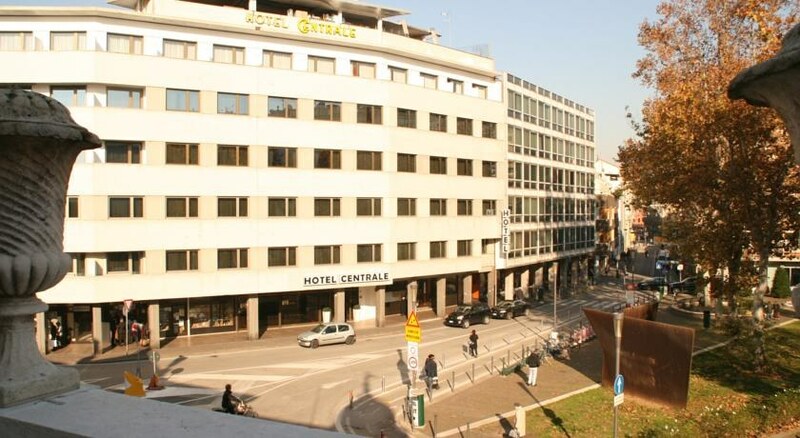 The Centrale Hotel features 100 rooms distributed over 5 floors, all stylishly furnished and fitted with every comfort including air conditioning, heating, private bathroom with bath or shower, Satellite TV, safe, hairdryer and telephone. An Internet point and a Wi-Fi connection are available for those who wish to connect to the Internet from their own laptop. Please collect your keys from reception.City Tax not included and must be paid on departure.